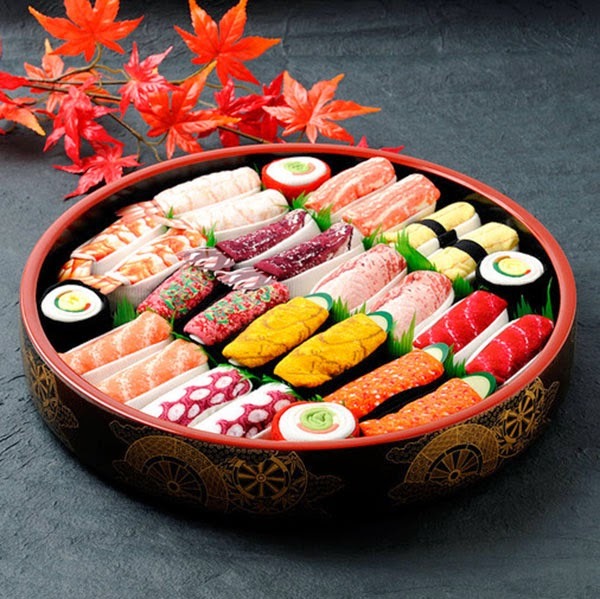 If you love sushi, this product is definitely for you. 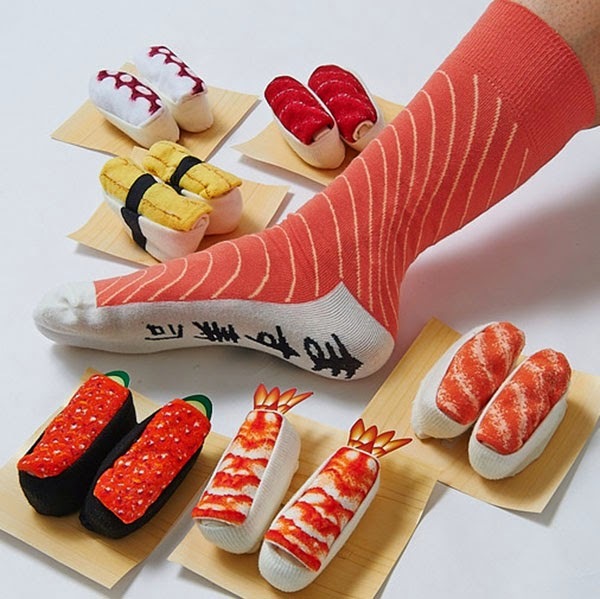 What better than to wear your favorite sushi flavor that are not only comfortable but fun to look at. 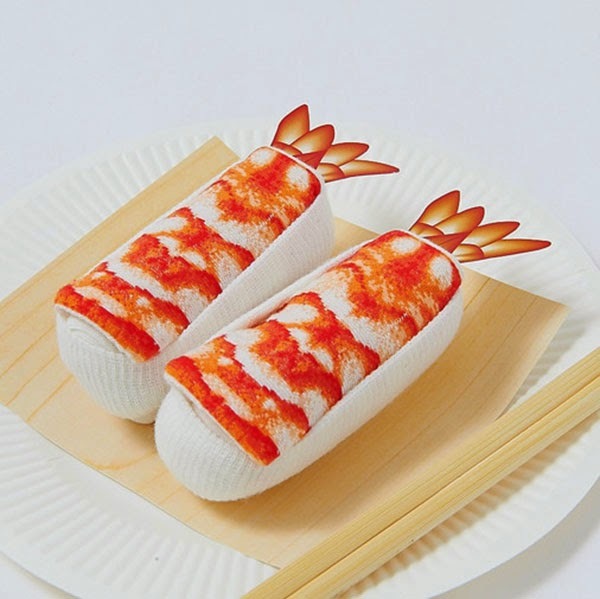 The designs are knitted into the socks with colored thread instead of being printed so they don't disappear when you put them in the laundry. 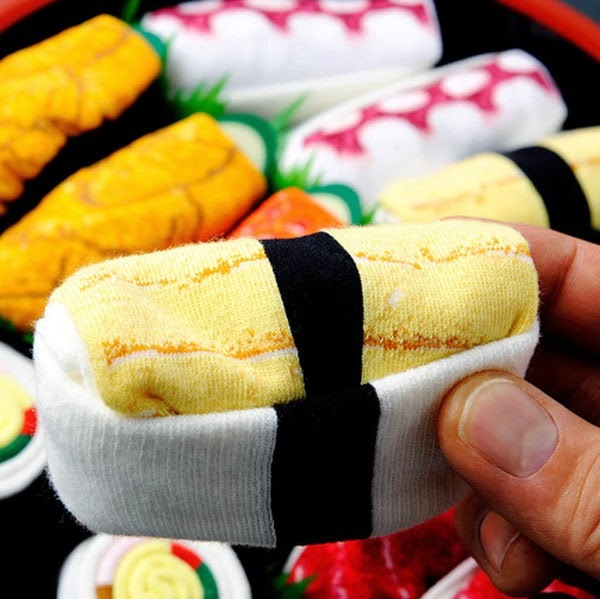 The socks are available in gift box sets presented in a traditional sushi oke bowl for easy storage. You can purchase them at Tokyo Otaku Mode.